Great salespeople are often promoted to management. However, many sales managers aren’t prepared to effectively manage salespeople because they haven’t been trained to do so. One mistake such sales managers make is that they expect salespeople to emulate them. But not everyone is cut from the same cloth. This helps to explain why about half of all salespeople typically don’t make their annual sales quotas. 1. An inability to accurately forecast sales results. 2. To cinch deals, prices are slashed. 3. Getting new sales prospects are problematic because salespeople don’t keep the sales pipeline full. 4. Salespeople don’t get enough strategic information about prospects. 5. Salespeople don’t effectively target the right prospects. 6. Salespeople don’t use the best cold-calling techniques. 7. Sales presentations aren’t successful because salespeople aren’t trained. 8. Sales organizations are saddled with people who are cut out for sales. As a result, sales managers get frustrated and forget they’re supposed to be sales experts who have been promoted to management. Instead, they criticize their sales reps for not performing. Under pressure from their bosses, sales reps panic and make even more mistakes and violate sales rules like don’t be tempted to bad mouth competitors. Again, sales managers often try to get salespeople to sell how they used to do it. Typically, other sales managers impose a personal improvement plan, do some coaching, assign a mentor, do some sales training with role-playing, and reinforce sales quotas. Bewildered, I didn’t respond and left the meeting discouraged by the lack of support. But I kept making sales calls using my preference – a consultative approach. Less than two weeks later, numerous deals of mine suddenly closed and I set a sales record. Within a week, the sales manager was fired by the station’s owner and I was promoted to his job. My takeaways: 1. Continue to work hard. 2. Don’t get discouraged. 3. Learn how to motivate others, and coach if necessary. Not all sales managers use such poor tactics. But many do and they think disciplinary action is the solution. Great sales managers diagnose the problems. They have to make sure their employees have the right attributes for sales. Then, they implement a coaching program. This includes analyzing the daily habits and behaviors of their salespeople. Are they enthusiastic with an attitude of gratitude and service? What do they do to keep their sales pipeline full? Do they research their prospects? Do they confidently make benefit statements? How do they overcome objections? If a salesperson has a good attitude but sales are lagging, the sales manager has to be a coach in training their employees in seven sophisticated sales steps. This requires patience, effective skills, support, and reinforcement. 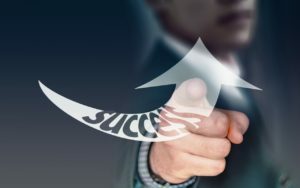 If a salesperson’s effort and execution-techniques are stellar, then sales objectives are ultimately achieved. But if all else fails, the salesperson needs to make a career change. Inspire a More Passionate Sales Team – 7 Tips — Just as customers make an emotional decision to buy your products, your company’s ability to sell depends on emotion – your salespersons’ enthusiasm. Here 7 tips. Differences Between the Best and Average Sales Organizations — Some companies are achieving stellar sales results in complex global situations by adopting best practices. A study explains the strategies that separate them from the average-performing sales organizations.